On Tuesday evening I was lucky and excited to be able to attend A Sweet Meet with Brisbane cake wizard Zoe Byres at Lollipops Cake Supplies. Zoe shared some of her decorating tips and tricks with us (including an amazing demonstration of her skills), showed us the different tools and materials she uses for her masterpieces and how she adds colour and dimension to her cakes, and even gave us the opportunity to try it for ourselves. My primary-school-level art skills were not quite up to the task, but it was so much fun! 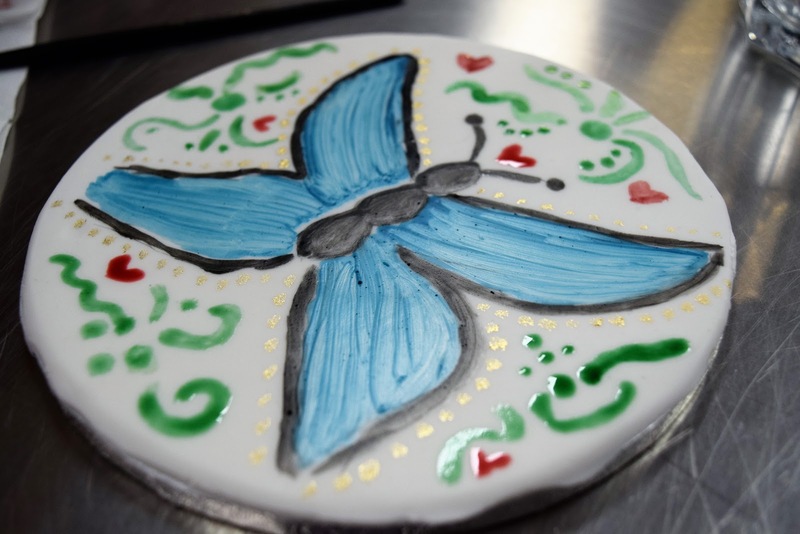 My attempt at fondant painting – I doubt the Great Australian Bake Off will be banging at my door any time soon! It was a privilege to see Zoe work, and to be able to admire the other creations she had on display, from sculptures to portrait to faux food! 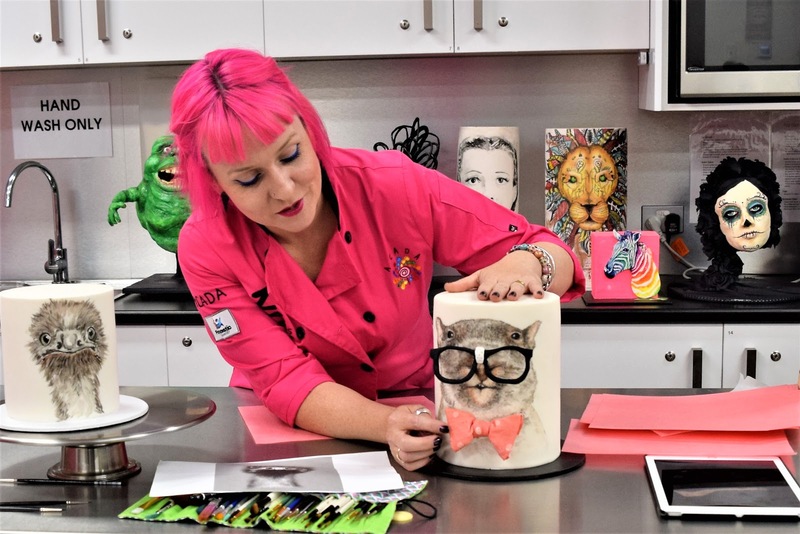 You can see Zoe’s awesome work and even take a class with her at the upcoming International Cake Show Australia, and she also teaches classes at Lollipops Cake Supplies in Eatons Hill. It was a fantastic event – I learned a lot about cake decorating and was definitely inspired! Thank you for having us Zoe, and thank you Kath Rose & Associates for organising the event! 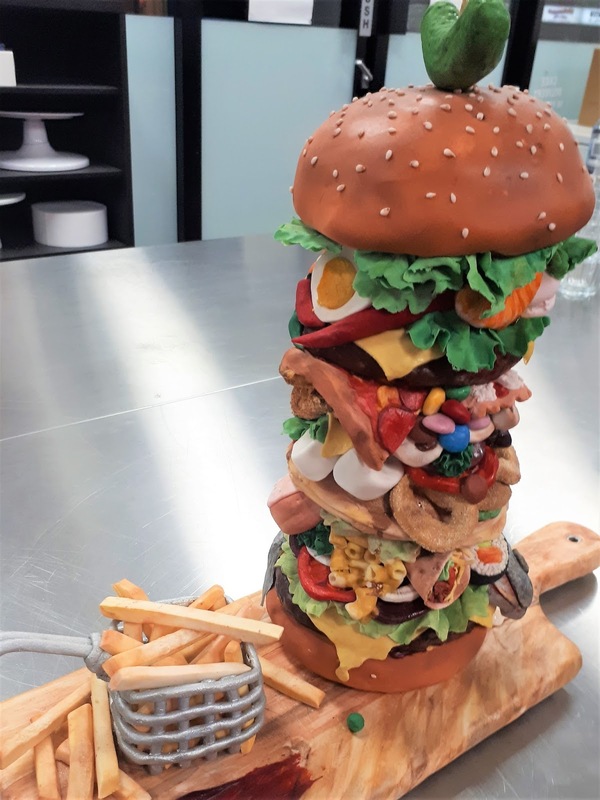 Another of Zoe’s amazing creations – a towering faux burger!